A home bar is one of many admired luxuries available in houses around the world. It isn’t simply just an area to serve alcohol, it creates an environment where people can hang out, have a drink and chill. For what you get, they do come at a pretty heavy price tag but at the end of the day it’s mostly just wood and bottles of alcohol. So why not build your own? You should look at a convenient spot to get together with groups of people, maybe away from the rest of the house or close to a pool or TV/lounge area. 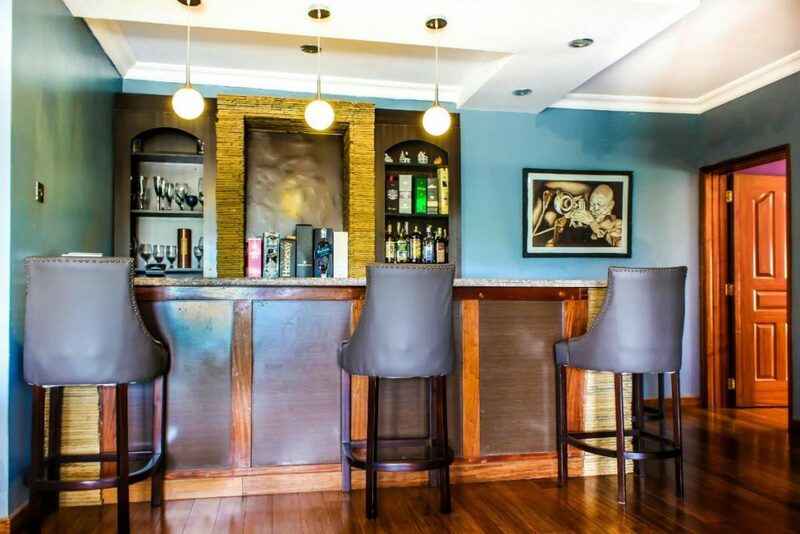 A successful bar space always has entertainment around such as sports games or a pool to chill by. A home bar saves you a lot of money too. You will most probably be overcharged going to a bar or pub for the alcohol, while you could have the same experience at home. First think about the design, this is where you make it your own. There are several sources of media to get inspiration and guidance from and once you think you’ve found the one its all about the wood, design and trimming. It’s all up to your effort and skill and your home bar will have a good base to start from. Once you build your base work in steps. Build the bar top next, followed by the bar interior, the bar exterior and the finishing, every small detail counts! Once you’ve finished building the actual bar look at small accessories and essentials for a bar. Start off by getting yourself good glasses for the alcohol you would like to consume, napkins, mats, coasters and maybe hose pipe connections may need to come in now. Lastly, go out and buy the alcohol you prefer to consume , Don’t forget to make sure you maintain its look at the same time.